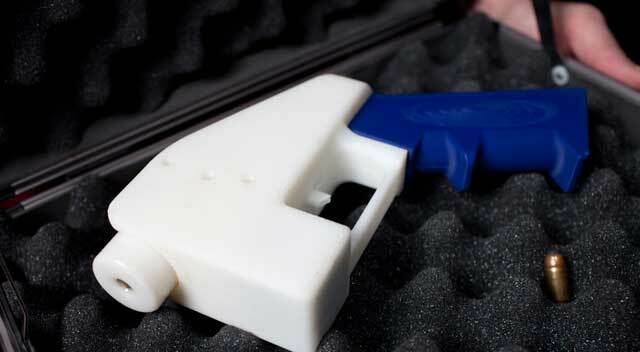 Amongst the craziness going on in the US over guns, a group known as Defense Distributed has designed and built a single shot plastic gun that can be built by anyone on one of the new 3D printers that have emerged from the Maker Space. The pro-gun activists are just as rabid as the anti-gun activists and this is being played out in the US media and being watched by the entire world. 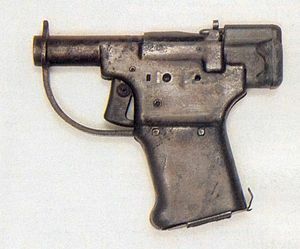 This new gun is based heavily on the WW2 Liberator, a cheap zip gun built by the US to be airdropped to anti-Nazi partisans in Europe. Someone in the government must have got cold feet, as most of them were dumped in the ocean, and it still remains to be seen if the gun was actually useful for it's original intentions. 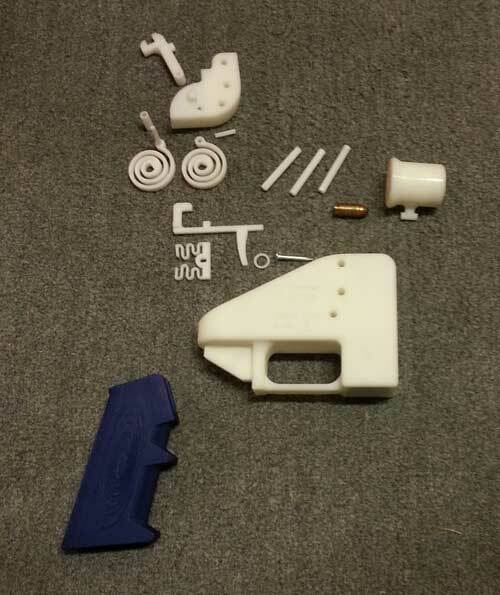 DefDist's gun is similiar in many ways. It's cheap to make and simple in the extreme. It uses a common roofing nail for a firing pin, and metal has to be added to satisfy the governments requirement that it set off an airport metal detector. It's also a smoothbore, and this has to get it into the AOW (any other weapon) category. Even the modern FP-45 replica of the Liberator pistol has a rifle barrel to keep out of trouble with the law. Anyway, the DefDist people have a dramatic video shooting it's one bullet. Enjoy.